Warm days and longer daylight hours of summer are the perfect time for implementing outdoor activity ideas into your children’s routine. This time of the year allows us the opportunity to utilise our outdoor spaces and provide great reasons to encourage the kids to play outdoors. Thanks to the fast pace of our modern lives, the benefits to physical health are well documented but it is the mental health benefits that are just as important for children. These tips are great for creating an outdoor play area that the kids will adore and have them begging to spend time outside. Equipment can be permanent structures like a slide or swing set, individual items that can be moved around such as hoops and skipping ropes or homemade re-purposed items such as old car tyres into obstacle courses. 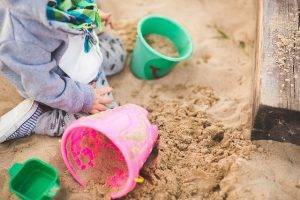 Including sand, water or mud play spaces outdoors will make you popular with the family’s youngest members and it will activate the five senses and support the brain development that comes with that. A permanent sandpit is fabulous if you have space, or alternatively, a range of smaller tubs or vessels to hold sensory materials works just as well. Creative play is more than just painting or drawing. 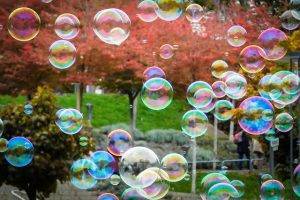 Look for ways to add music, building activities, and art experiences to your outdoor space. 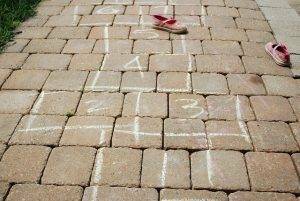 Consider a permanent fixture for these outdoor activity ideas such as a chalkboard or music wall, a box of old sheets or a large cardboard box for fort building to encourage creativity. 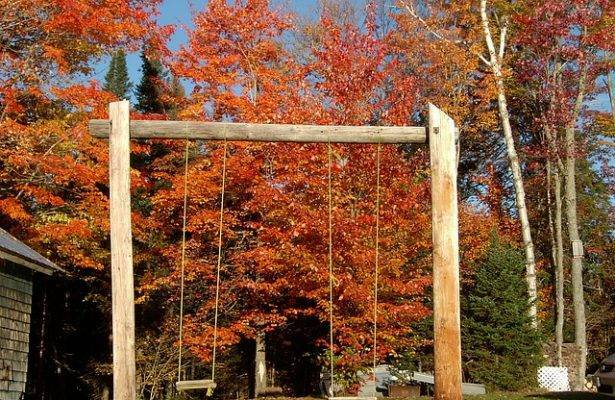 The opportunities for taking imaginative play outdoors are endless. A cubby house or fort can become a pirate ship, a secret hideaway, a beauty salon or a supermarket – the pretend play opportunities are unlimited. Alternatively, creating small world play scenes in pots, sand pits or an empty garden bed sparks all sorts of imaginative play. A race track in the sandpit or a fairy garden planted with herbs and decorated with pebbles and mini houses open children’s minds to create adventures. 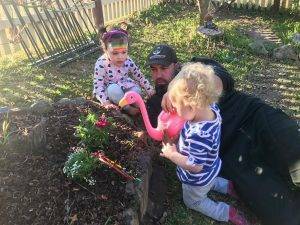 Involving your child in caring for your garden and having them help to tend a vegetable garden or grow herbs are both wonderful ways to introduce children to the joys of nature. 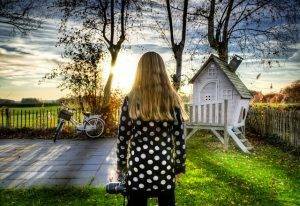 A magnifying glass and bug catcher, a bird feeder and bird bath, binoculars or a telescope are great tools to have available to peak their interest into nature. These can be used to learn about the plants, bugs and birds in your own backyard. If you need help with creating outdoor activity ideas or more permanent structures in your landscape designs, contact Luke from Fresh Perspective Landscapes on 0434 355 066 or on Facebook for a free quote to design the ideal backyard for your family.